Grace is something we are all given by God, yet something none of us deserve. No matter where we are in life, no matter where we've been, no matter our bank account, our debts, our earthly treasures, our faults, we are all sinners in need of grace. In Case for Grace Student Edition, Strobel shares of his own story of atheism and the journey to Christianity as he explored God's redeeming love. You will be excited to read as find out just how he handled each situation he was faced with. This book is a great read for your teens as they learn about grace. In Case for Grace for Kids, Strobel shares how grace is for everyone through stories of every day people and their situations. Each chapter ends with a couple of questions for your preteen to see how grace is for them. 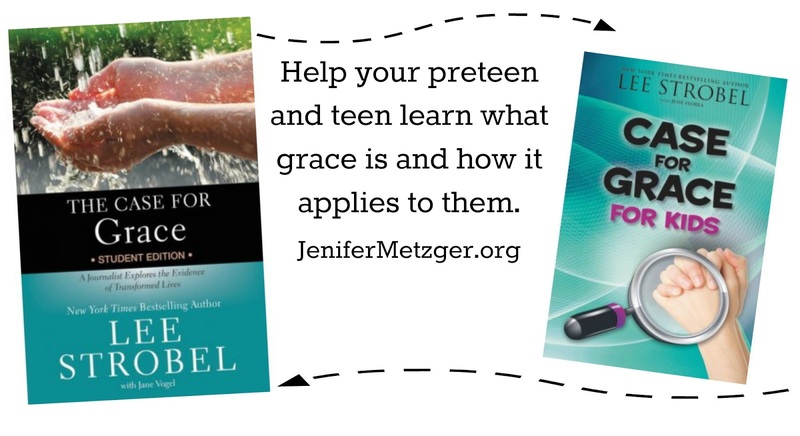 Whether your preteen or teen is struggling with grace, doesn't understand it or is looking for something to read, check out these books!